As all event planners know, a tremendous amount of time, effort, thought and resources go into hosting a successful event. However, many event planners forget that the most important aspect of any event is to engage your audience. It goes without saying, we all aim for our carefully planned events to be meaningful and engaging. We work hard to make sure our events are on-message. Likewise, we want them to achieve their intended purpose. However, if we don’t engage our audience then all that effort and hard work are wasted. Event engagement is crucial. It’s all about establishing good working relationships with your attendees. Once you’ve achieved this you can go on to successfully promote your brand. However, it’s not just about the one event. Your ultimate objective is for these relationships to continue well into the future. So what can you do to engage your audience? Luckily, we’ve worked with some of the event industry’s top experts. Here are their before, during and after tips which will help you to engage your audience. Make the best use of technology. Most people have easy access to smartphones, tablets and multimedia devices. Therefore, your strategy should be to build online awareness before your event. There are loads of things you can do. For example, create a Twitter hashtag, provide sharing features and bright eye-catching graphics. These will automatically promote themselves. Set up links to all of these on your company website registration or Facebook event pages. Keep your followers up to date with regular updates on relevant information. For instance, provide details on guest speakers’ biographies, live demonstrations and promotions. 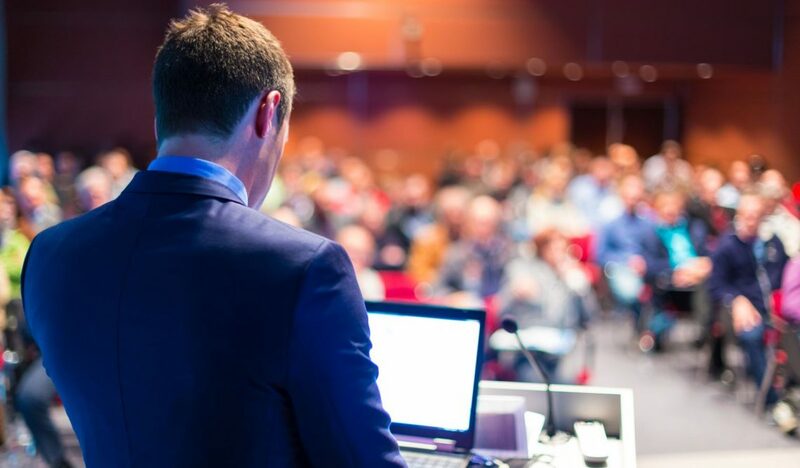 To leave a positive impression you will need to hire the best guest speakers. Look for those that have bags of enthusiasm and passion. They’ll need to know the topic of your event or the particular product inside out. You’ll want them to keep your audience entertained and motivated. Their speech must be inspirational and relevant. Ideally, it should involve the audience in some way. For example, hold a question and answer segment, or interactive presentations or case studies. With all these ideas make sure you include bright visuals. Accompany these with easy to remember bite-sized chunks of information. All other event staff must be fully aware of their duties. Instil into them the importance of being professional and courteous at all times. They should be fully briefed and able to answer relevant questions. Remember, they are the ambassadors for your brand. Don’t forget to continue making use of up-to-date technology. Take event photos and videos and use them for future promotional materials, brochures and online marketing. Do follow up your event with personal emails thanking your guests for their participation. Put together relevant photos, videos, podcasts or articles as part of a takeaway package. Always ask for feedback. This can be carried out through questionnaires, surveys or online platforms. Ask your audience what went well, what didn’t go as anticipated, as well as suggestions for future improvements. People do like to feel that their issues have been taken note of. This is a great opportunity to address all kinds of feedback. It also helps to keep your brand and company in people’s minds. Perhaps even use positive quotes from attendees as testimonials for your website and social media sites. Successful promotion of brand or message. Follow these tips and you can not only engage your audience but keep them coming back for more. Finally, do bear in mind that all successful events need to portray a professional image. First impressions count. In order to create a great first impression, you’ll need the best quality seating, tables, easels, lecterns. Hiring these will remove a lot of the stress involved in planning. Not only that but it also guarantees top-of-the-range products. For example, lighting, cabling, chairs, tables, even bar hire. If we can help with any of your event planning requirements, don’t hesitate to contact us.